MODEL NS25 - MOST POPULAR! This one is heavier than it looks but still delicate enough for the daintiest of powder rooms. 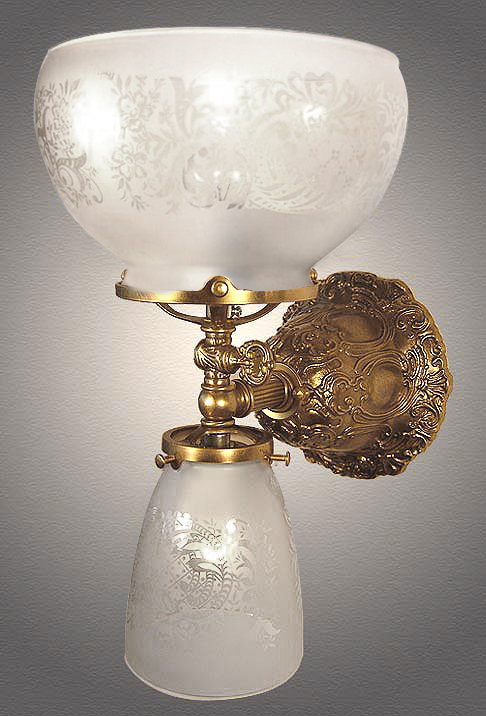 An 'Up and Down' period authentic reproduction of a vintage Victorian gas light fixture. The statement of this fixture has made it one of our most popular models. Complete with realistic gas key, this model offers plenty of light and outstanding design! Also pictured with a hand blown French acid etched glass shade. Solid cast brass construction. Free mounting hardware included.